The Everett Branch Self Rescue Course (SRC) is comprised of two components: SRC I & SRC II. This is SRC II only. 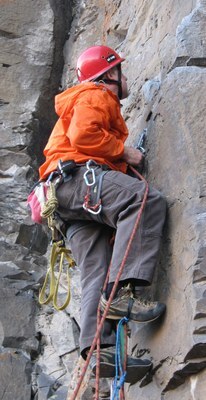 Together, the components develop fundamental skills applicable to self rescue while climbing on rock, glacier and ice. The emphasis will be on self sufficiency for a party of two in the alpine. This course is a seminar, and is thus scenario based. Emergency leadership, medical care and group rescue are beyond the scope of this course. Expectations: This is an advanced level climbing course. It is not intended for novice climbers. Completion of SRC1 is the prerequisite. Arrived equipped mentally & physically for a full day of climbing. Bring all gear that you would if you were leaving campsite in Boston Basin for a mid-July ascent of the WR Forbidden Peak.